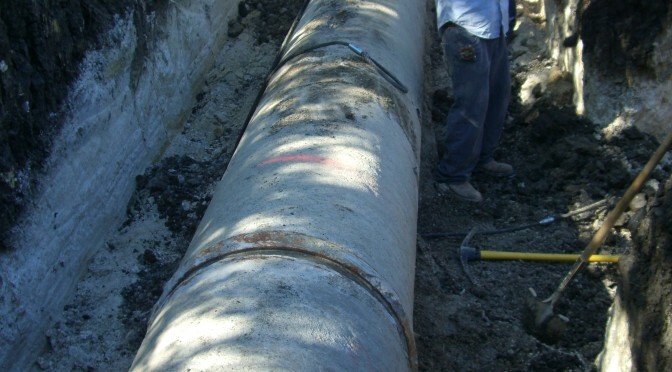 Demonstrating S. D. Kallman, L.P.’s experience in dealing with all types of piping materials, we designed a 16” tie-in to Central Texas WSC’s existing 30” concrete steel cylinder water pipe in Chaparral Road in Killeen. This connection allowed the 200,000 gallon Chaparral Road standpipe to be filled from Central Texas WSC’s original water treatment plant on Lakecliff Drive. The water line tie-in and high service pump station was constructed at a cost of $755,000.